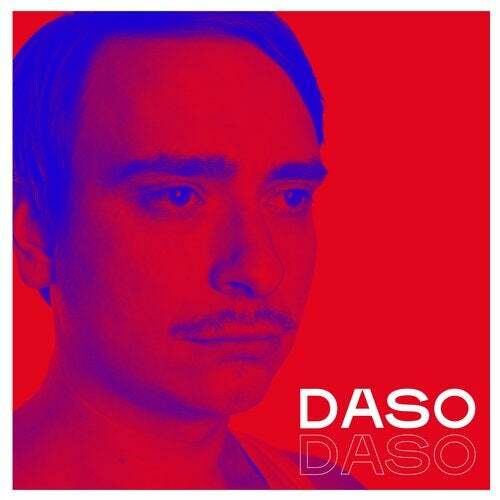 We first came in touch with Daso when we saw him performing live at the Dachkantine in Zurich around 2006. He really had this stage talent which fascinated us straight from the beginning. At this party we agreed on the first release on Connaisseur, the "Adventure EP" including the strong "Sam n Max", which was a great presentiment of the many releases to come. Daso was a unique character with a lovely sense of humour, and surprising quirks which could be like marvels to us. One moment, we would be worried just seeing him crossing a busy street and in the next, he would be rocking the stage with major self-confidence and the attitude of a real rock star. In our history of Connaisseur, he definitely was one of our most important artists, and some of his best music was released with us. He played many label nights, and together we enjoyed uncountable laughs, discovered cities and countries while touring and collected invaluable memories. It is the way of the world that we as a label eventually focussed on new artists, and Daso, too, embarked in new directions. We still stayed in touch, even though the gaps between our contacts became bigger with time. The first time we realized that Daso was ill was in the first quarter of 2016. We had invited him to our 10th anniversary party in Berlin, but he didn't feel well enough to be able to come. Shortly after this, he went to the doctor and was diagnosed with cancer. We were shocked. Daso was always such a positive person, it simply didn't add up for us that someone like him could get sick. Obviously an irrational and unjust thought, but it just felt so unfair. When he started chemo therapy I spoke to him on the phone, and my label partner Martin, who lives in Berlin, gave him a first hospital visit early in summer of that year. A bit later we visited him together, and yes, he was optimistic, still full of humour and also motivated to pick up his career again as soon as possible. This impression was of course only from a distance, but I was delighted to see how confidently he presented himself on socials after all his treatments, and how after recovery he started playing gigs again. At some point I realized Daso hadn't been active on his socials for a while, which concerned me. This was in the first quarter of 2018. His last post on Facebook had been made on November 30th and I knew this couldn't bode well. After contacting some common friends I was told his prospects were not good. I was about to go on an Easter holiday but planned to visit him on my next monthly trip to Berlin. I didn't have the chance. On Easter Monday, April the 2nd, 2018 Daso passed away. At Daso's funeral, which was on a wonderfully sunny day in late spring, his father came up to me and asked if I might be interested in releasing this album, which Daso had been able to finalise in the last months and weeks of his life. We didn't decide on doing so lightly, knowing that the release of a post-mortem album can bring up certain issues. However, in the end, we agreed to do it, as we sincerely strive to create a final memento for Daso's musical legacy.